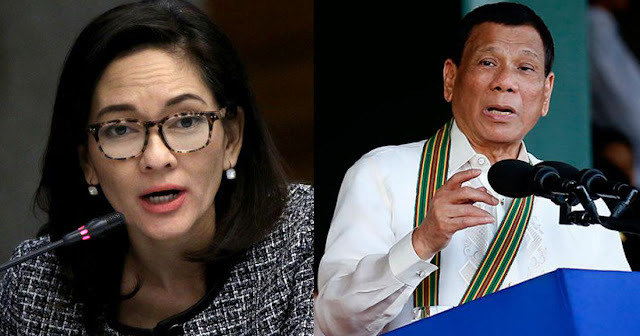 Senator Risa Hontiveros accused President Rodrigo Duterte of being only a tough talker but a weak leader. Her statement came after Duterte said that that the Liberal Party, communist rebels, and the Church are plotting to destabilize the government and to oust him. “Imbes na mag-isip ng mga solusyon, ibinaling pa sa iba ang sisi. Ang pagtaas ng presyo ng mga bilihin, isinisi kay [US President Donald] Trump. Palpak na war on drugs, isinisi sa mga human rights advocates. Sa lumalalang kahirapan, kasalanan ng nakaraang administrasyon," Hontiveros said. "The President has a growing list of people and things to blame, except himself. Tough talker, pero weak leader,” she said. “It is time to tell the President: quit terrorizing, start governing! By words and deeds, he terrorizes the public, highlighted in the recent week by a political vendetta gone shamefully wrong to divert the public’s attention from issues that really matter: soaring consumer prices, unemployment, extrajudicial killings, rice shortage and many others. The most recent one is the spread of fake news of a so-called “October revolution” plot borne out of paranoia,” Hontiveros added. 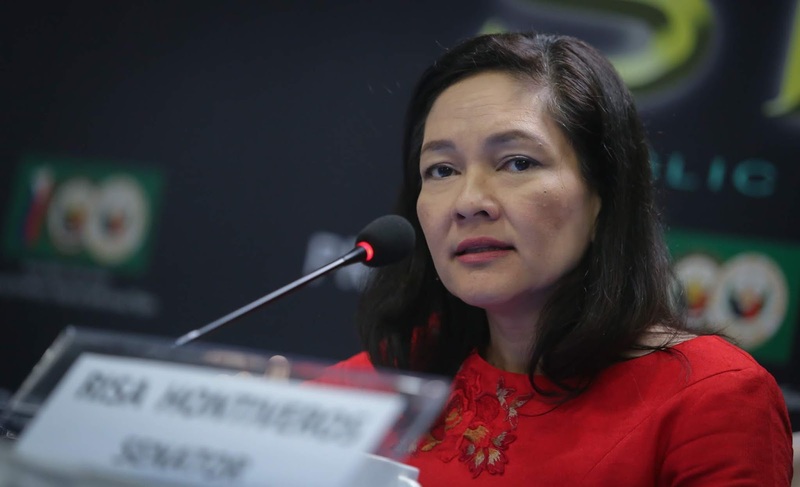 Hontiveros called on the public to protest Duterte's poor governance and sexist comments, the most recent example of which was his saying that there was a lot of rapes in Davao City because it has a lot of beautiful women. “I call on our citizens: it is our moral duty to speak out. Sa pambabastos sa mga kababaihan, ang ilan ay tahimik. Nung sinabi ng Pangulo na siya ay papatay ng mga drug addict, ang ilan ay tahimik. Nung may mga pinaslang na mga miyembro ng kaparian, ang ilan ay tahimik. Nung unti-unti nang ibinenta sa Tsina ang ating mga isla, ang ilan ay tahimik. The harassment against Sen. Trillanes using state powers exhibits not only the President’s allergy to dissent and oppositional politics, but to democracy as a whole,” Hontiveros said. 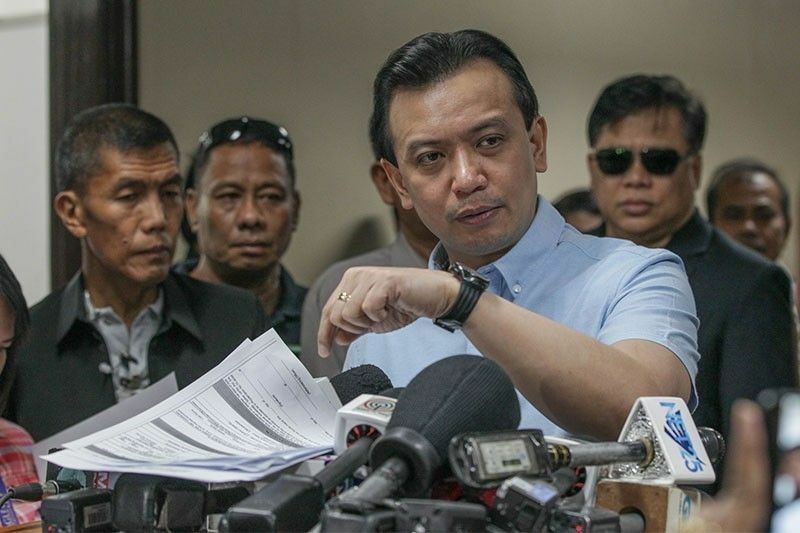 The senator was referring to Proclamation 572, which voids the amnesty granted to Senator Antonio Trillanes IV for two reasons: one was the supposed missing application form and two, that Trillanes did not admit guilt for his involvement in mutinies against the Arroyo administration. “We can no longer be idle and silent. Ang katumbas ng pananahimik ay kahirapan at kamatayan para sa iba. Our people need to come together and muster the moral courage to stand against what is wrong and abusive,” Hontiveros added.